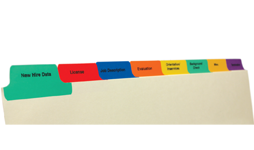 Helping professionals organize, file, store and protect their critical business documents. 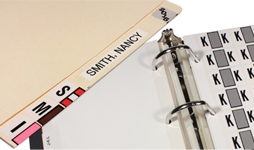 ZPC offers from a basic, all-purpose stock file folder to the most complex custom filing products. Custom capabilities include printing, expansions, fasteners, indexing or adding tabs; Product design to accommodate any storage method, pull drawer cabinets, open shelving or hanging applications. We also carry a complete line of stock filing supplies. Optimize Storage and Space management with a strategic game plan. We offer storage solutions for every application, Books, Medical Supplies, Inventory, Parts, File Folders, Fine Art, sporting equipment, having a storage solution makes an enormous difference. Let us help you do more with less! In addition to medical filing products we offer healthcare labels/tapes and Infection Control products. Promote employee wellness and office productivity with our state of the art technology products and organizational systems. Managing work flow, a production schedule and everyday activities can be challenging. 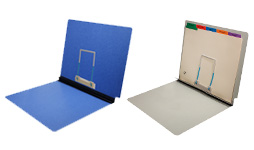 We offer Visual Communication Systems, document holders and work flow accessories that allow you to gain control and increase office productivity. Ergonomic and workspace solutions for the modern office.